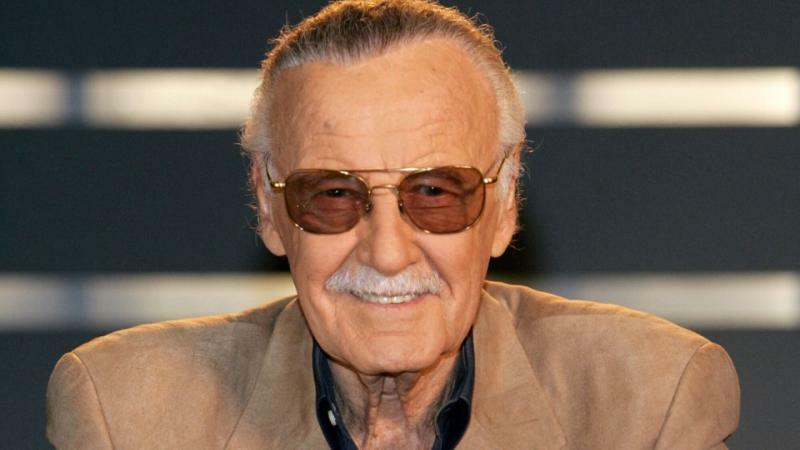 And, it is a sad day for all the comic book lovers as our beloved and the genius behind Marvel Cinematic Universe, Stan Lee, is no more now. He lived for 95 glorious years and entertained the mankind in the best possible way; his iconic characters shaped our childhood and will keep shaping the forthcoming lives. He breathed his last on Monday. 1). 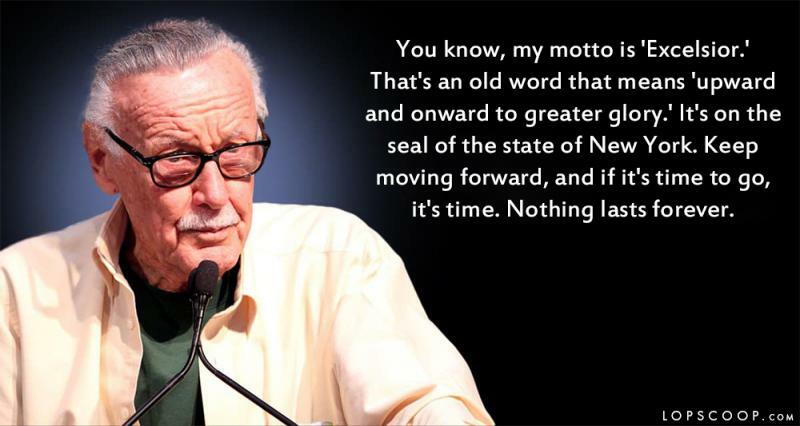 "You know, my motto is 'Excelsior.' That's an old word that means 'upward and onward to greater glory.' It's on the seal of the state of New York. Keep moving forward, and if it's time to go, it's time. Nothing lasts forever." 2). 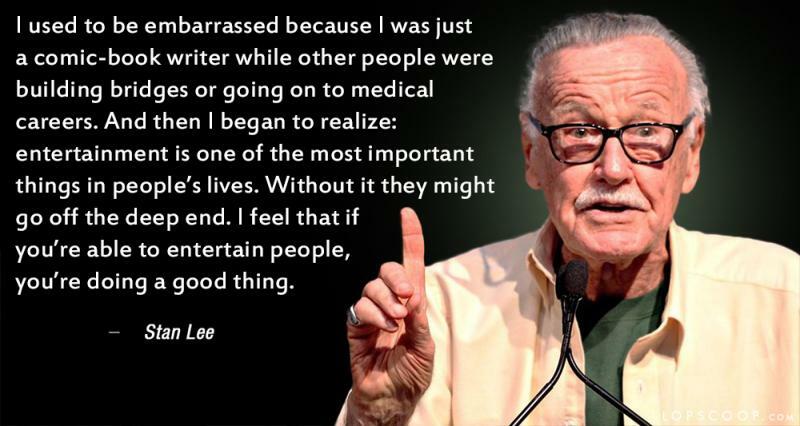 "I used to be embarrassed because I was just a comic-book writer while other people were building bridges or going on to medical careers. And then I began to realize: entertainment is one of the most important things in people’s lives. Without it they might go off the deep end. I feel that if you’re able to entertain people, you’re doing a good thing." 3). 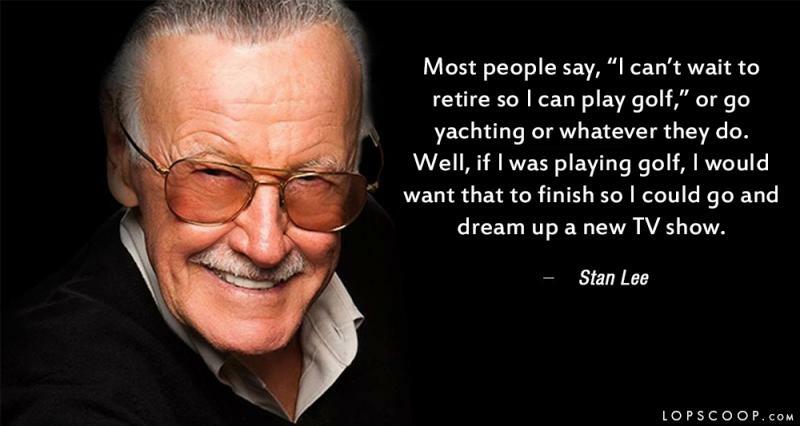 "Most people say, “I can’t wait to retire so I can play golf,” or go yachting or whatever they do. Well, if I was playing golf, I would want that to finish so I could go and dream up a new TV show." 4). 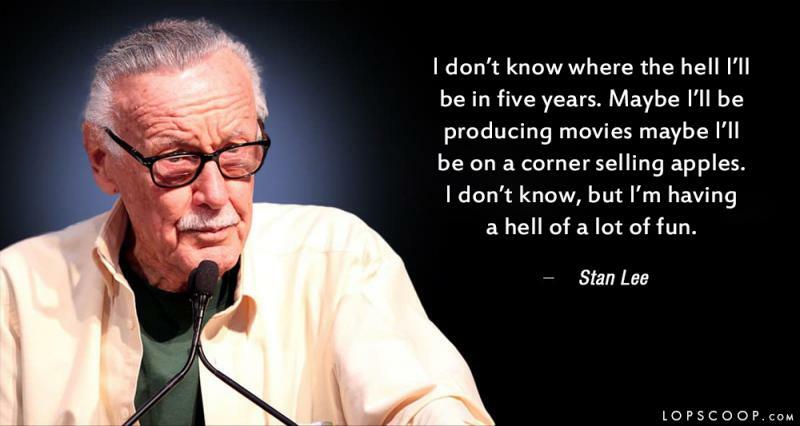 "I don’t know where the hell I’ll be in five years. Maybe I’ll be producing movies maybe I’ll be on a corner selling apples. I don’t know, but I’m having a hell of a lot of fun." 5). 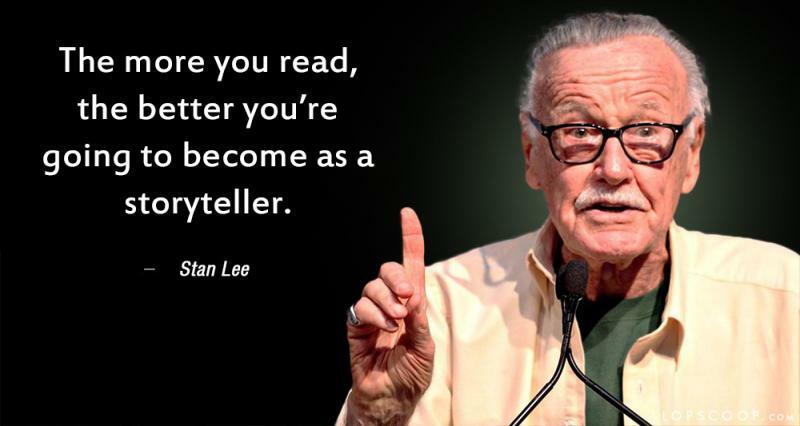 "The more you read, the better you’re going to become as a storyteller." We will definitely miss your uber-cool cameos, ‘STAN THE MAN’.